Meet Ronald Rael of Emerging Objects at Facades+PERFORMANCE San Francisco on 7/12! - Archpaper.com Meet Ronald Rael of Emerging Objects at Facades+PERFORMANCE San Francisco on 7/12! Meet Ronald Rael of Emerging Objects at Facades+PERFORMANCE San Francisco on 7/12! We are excited to announce that Ronald Rael, founding partner of Emerging Objects, will join Ronnie Parsons of Mode Collective at our facades+ PERFORMANCE conference in San Francisco in less than two weeks! Rael and Parsons will co-instruct the “Hands-On 3D Printing (Rhino3D/Makerbot)” Technology Workshop on July 12th. By registering for this full-day workshop participants will not only earn 8 LU AIA CE credits but they will also explore and discuss the differences between the various types of 3D printing technologies, including Fused Deposition Modeling and Stereolithography. 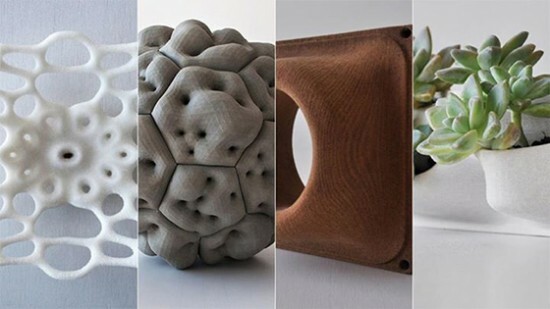 This hands-on workshop presents professionals and students with a rare opportunity to develop and challenge their 3D printing skills and learn how to bring their unique digital models to life in the form of actual physical products. The emergence of the 3D printer has not only significantly transformed the fields of architecture, interior design, and product design but with the development of user-friendly, affordable 3D printers, it is revolutionizing the world one physical prototype at a time. 3D printing is a valuable skill that architects and engineers must learn if they want to remain on the cutting-edge of technology. Join Ronald Rael and Ronnie Parsons at facades+ PERFORMANCE as they delve into the world of 3D printing. Learn more about our workshops and register for the conference here!